↑ Bernadine Stirk (2005). "Growing Kiwifruit" (PDF). Pacific Northwest Extension Publishing. Retrieved January 4, 2013. 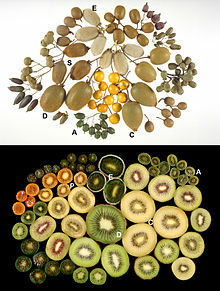 ↑ "Kiwi fruit: World List, 2010". FAOSTAT. Retrieved January 4, 2013.